Ramos, Uncle Joey's hit man, is reluctant to involve Shelby when an acquaintance from his past comes into town. Uncle Joey has a favor to ask Shelby which involves heading to New York City and meeting his estranged relatives. Then there's Dimples, a police detective, who needs her help finding the person behind a deadly new drug. It's no wonder Shelby has a hard time keeping everything straight. But the worst is deciding how to explain her crazy, mixed-up life to her kids. So far, her explanations have all been laced in lies, and she worries that if the truth ever comes out, they will never trust her again. I've listened to all 10 Shelby Nichols Adventures novels in order during recent weeks and am now sad there likely not be another for at least 6 months. 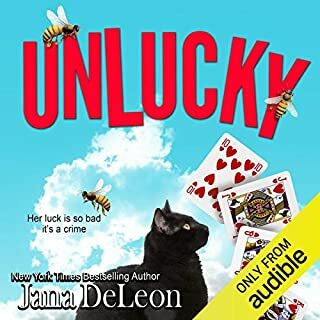 The combination of suspense, comedy, and the mildly paranormal (mind reading) along with a wonderful protagonist and supporting characters make this an interesting and fun series. 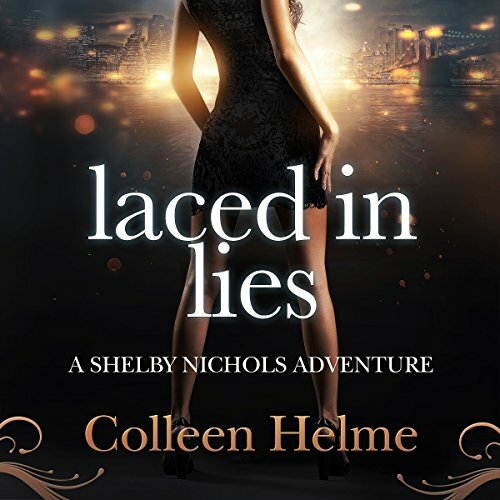 Both author Colleen Helme and narrator Wendy Tremont King do a superb job of bringing Shelby Nichols to life. 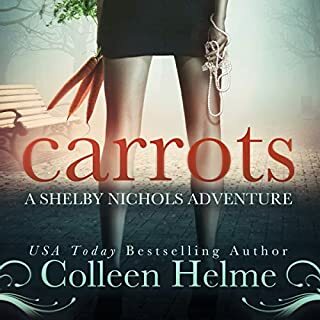 Volume 1 on the series, titled Carrots, should be listened to first. Even though there were a few plot holes the overall story was sweat and very emotional. I would love to see Ramos have a love interest in the next book. Maybe even a spin off book series about him! This series never disappoints. Great story, and I especially love this book because it felt like a good long visit with old friends. If you haven't read any of the earlier books in the series, don't start with this one. Start with "Carrots" and work up to this one. The books stand alone, but there is some story line crossover. To get full enjoyment potential you must begin at the beginning! Loved it. completely hooked on this series and can't wait for the next book. Ramos rocks! Love this series, can't wait for the next one !! Full of adventure, humor and just great story telling !! Most definitely! I actually recommend the whole series and to begin with the first book, Carrots, for the best experience. I really enjoyed how this book shares a lot more of Ramos' backstory and how it expanded the circle of family (real and not). Wendy Tremont King is wonderful. I could (and actually have while medically recovering) listen to her all day long. 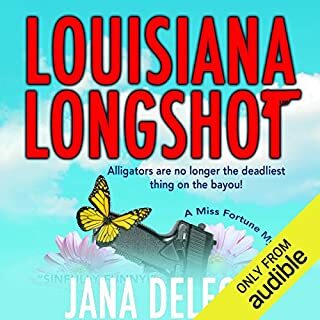 I have a few favorite narrators and she quickly rose to the top. Not as much as in a few of the previous books, but I did appreciate some of these story lines in this particular book more than in some others since it added a lot to the world of Shelby, Ramos, and Uncle Joey. The backstory of Ramos that is shared, the outcome, and the repercussions of events in his story were the most emotional to me. I truly want some love and happiness to come to Ramos really soon! Other than the underlying formula used throughout this series of Shelby being asked to help, then getting into some major trouble, and finally being saved by Ramos (but all in a variety of ways/scenarios that I appreciate)... this book breaks away from that in both of the main story lines in this book for awhile and expands the character development quite a lot. 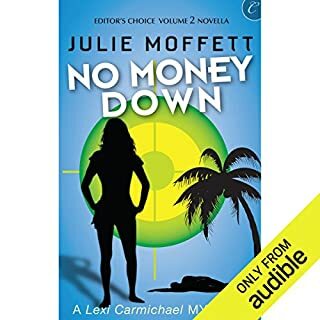 This slowed it down a bit for me, but I was then rewarded with more &quot;meat&quot; to my current favorite series.I received a copy of this audiobook for free in exchange for an honest review. I have, however, purchased the previous 9 audiobooks as well as the first book also in Kindle form. I am definitely looking forward to book 11. I cannot wait to see where this story goes from here. 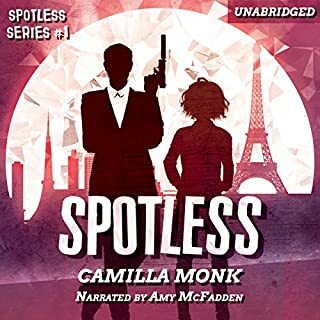 Where does Laced in Lies rank among all the audiobooks you’ve listened to so far? If I could just sit and listen to a book all day this would definitely be one! I am huge fan of this series and the author does such a great job. I don't think I have been disappointed with any in this series so far. 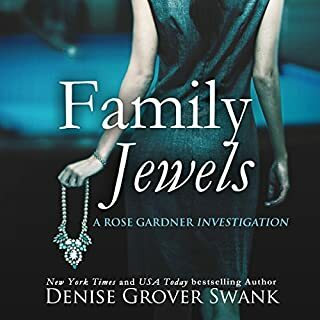 I love the characters and the continuing story arc between all the books with Shelby working for Uncle Joey (mob), Dimples (police) and her own consultant agency. I do think it's all starting to catch up with her though as her kids are getting old enough to figure out who Uncle Joey is, they know the didn't have an Uncle Joey before and Shelby is getting tired of lying to them. I love all the characters from the good guys (Shelby, her family, the police) to the not so good guys (Uncle Joey, Ramos, etc) although it's hard to not let Uncle Joey and especially Ramos to grow on you...lol. Great book, fantastic series and if you haven't tried it you should!!! Wendy Tremont King was awesome! What did you love best about Laced in Lies? Meeting New Family in NYC, Miguel's audition for Aladdin. I love that when people meet Shelby, like big Kahuna, they like her and do not want to hurt her. Shelby - Wendy is a true Shelby! Miguel's audition for Aladdin - wish we could here the singing in an audible book. It's such a great book. Shelby is so loveable. I can't wait for the next book.